ISS has now had two commercial companies resupply it, Space X was first with its Dragon resupply ship and Orbital was second with Cygnus. Boeing and Sierra Nevada Corporation are the final two commercial suppliers to ISS that are preparing their spacecraft for resupplying ISS. and imagine what more could be possible with a stable and increased budget without political interference. Found a computer here in Baton Rouge, Louisiana so I can get a quick blog to you. Want to Do Some Research Using Your Computer? I will be gone for the next few days - until next Monday actually - without connectivity. So enjoy this story abut how you can use your computer to participate in useful and timely astronomical research http://www.icrar.org/news/news_items/media-releases/theskynet-t2-is-born. I look forward to being back with you again. Labels: Want to Do Some Research Using Your Computer? 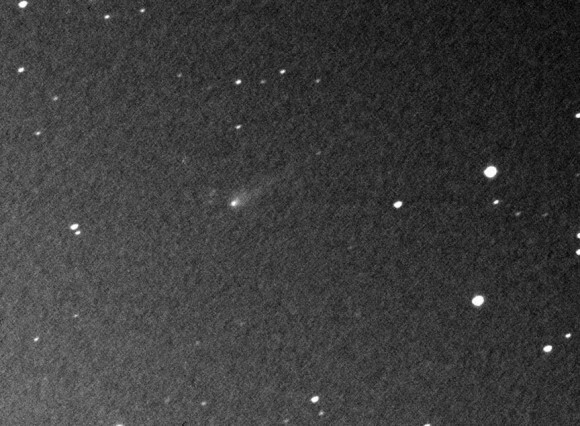 Here is the scoop from NASA on how amateur astronomers are doing in observing Comet ISON. I myself have not tried to find the comet yet but I hope to in October-November. 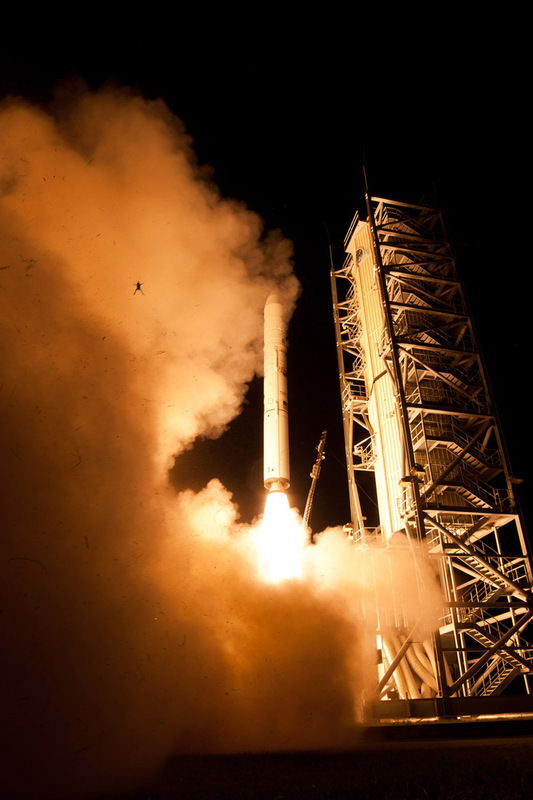 A software glitch caused a wave off of Orbital's Cygnus resupply ship to the ISS yesterday. The next approach will be attempted in about 48 hours. Happy Fall at 4:44 p.m. EDT today. The nights are getting longer and we will soon be on standard time so we will really have longer nights. The air will begin to chill at night and we start the three month march towards winter. 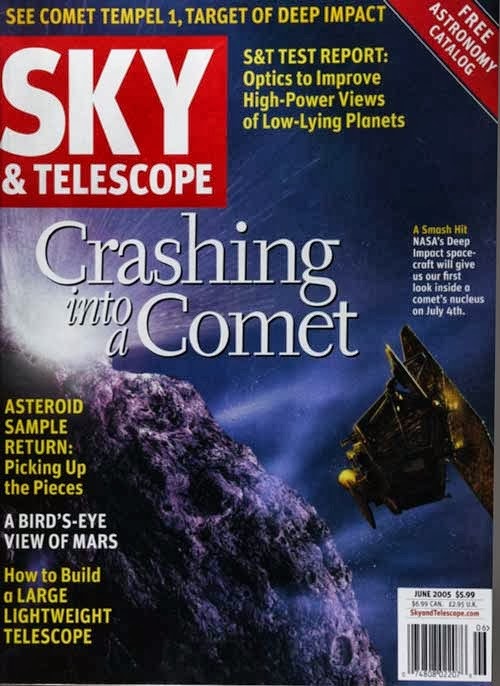 In June 2005 I co-authored a feature article for Sky and Telescope magazine on Deep Impact with my colleague Elizabeth Warner, University of Maryland. DI was an ambitious mission attempting to do what had never been done before - rendezvous with a comet and launch a second impactor spacecraft to intercept and hit the comet. Oh, by the way, the impactor was totally computer controlled to compute and complete the intercept which it did in spectacular fashion on July 4, 2005. What a mission spectacular that was! DI was fully functional and had plenty of fuel so the spacecraft was sent to flyby another comet and was used to carry out observations of stars and exoplanets. DI returned about 500,000 images and a treasure trove of data. DI literally rewrote the book on cometary interiors and composition. DI was scheduled to take pictures of Comet ISON and the community was looking forward to seeing these but that data is lost. Thank you DI for your service - we will miss you. Saw my first fireball in quite a long time last night at 7:32 p.m. EDT here in Northern Virginia. It was still strong twilight so the brightness was diminished somewhat but I still estimated it to be about -10 or about the brightness of the First Quarter Moon. Tough to estimate real brightness when it is still pretty light out. The fireball was very compact but was bright white. There was no sound or detonations. It went from west to east and it was nearly overhead when I saw it - I actually saw the point of it starting but could not see the end point due to trees blocking my view. The results are in from Mars and Curiosity says Mars is Methane-less - my words, not hers. This is a surprise and a disappointment. Surprise because previously reported data from US and International scientists had detected Methane and a disappoint as the presence of Methane could be an indicator of life. These previous data sets came from observations made from orbit and Earth. Saw Antares-Cygnus from Northern Virginia and the Harvest Moon last night AND this morning. Both were great sights. 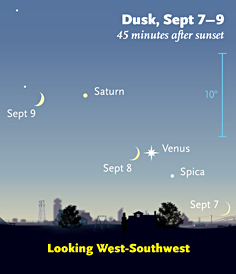 Did you know that when the Moon sets in the West that it is titled nearly 90 degrees from the view we have when it rises? Fun to see the Man in the Moon, or Woman, or Rabbit, tilted - it's like they are laying down after a long night. It's caused by the rotation of the Earth away from the direct alignment with the Moon when it rises in the East. It is always most pronounced at Full Moon near the equinoxes. Well, if you get to see the Antares Cygnus resupply launch tomorrow - see my previous post, why not look for the Full Harvest Moon at sunset? This is the Full Moon that occurs nearest to the Autumnal Equinox for the Northern Hemisphere which in 2013 is September 22. In North America the Moon is Full on the night of the 18th-19th. When you see the Full Harvest Moon rising with the shorter amount of daylight, and if you are not in a light polluted viewing location, you can see why farmers of old welcomed the extra light. They were able to bring in the harvest by the light of the Full Moon. The effect is best experienced if you are near a field of corn or wheat and see the moon light falling upon the landscape. The smell of the air is a harbinger of fall and soon the smell of leaves and the Earth will fill your lungs. Enjoy the view of the hopefully golden-yellow orb of the Harvest Moon. It will be in the east awaiting your gaze at sunset. Another historic launch from NASA's Wallops Island Flight Facility in Virginia. This time it is a day time launch of a resupply mission to the International Space Station (ISS). The launch will be visible along the U.S. East Coast with launch scheduled for 10:50 a.m. EDT. Check out the new video that shows a 360-degree view of our Moon. It was compiled using images from Lunar Reconnaissance Orbiter. Here is an interesting story, especially if you like weather, specifically lightning. NASA has sent an instrument called "Firestation" to the International Space Station (ISS) that was installed by the station's robotic arm, that will observe and gather data on lightning above the cloud tops. Scientists have discovered that a lot goes on above the clouds when lightning goes off. Strange red and blue light events, called sprites and elves respectively as well as Terrestrial Gamma-ray Flashes (TGFs), have been documented. 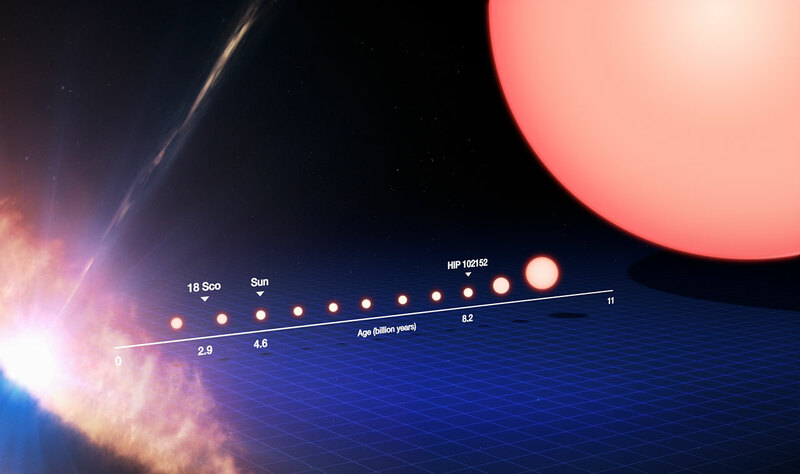 In fact, during some of these TGFs the Earth mimics a supernova event by the production of powerful TGFs. 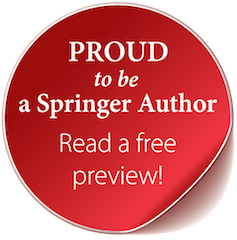 These phenomena are not well understood and Firestation is the perfect answer to get more data. ISS flies over many thunderstorms as she makes her way around the world 16 times a day. With Firestation attached to the ISS it will be able to detect and record these events. It is pretty amazing that the most powerful events we see in the Universe are mimicked right here on Earth in our cloud tops. This should be interesting to see what Firestation finds out during the 1-year mission length. Wanted to share my thoughts with you on Starship Voyager 1. To “Star Trek” fans these words will have a familiar ring but instead of “Enterprise” it is the starship Voyager 1 we are talking about. That my dear reader is a historic substitution. NASA officially announced on Thursday, September 12, 2013, http://www.nasa.gov/mission_pages/voyager/voyager20130912.html#.UjR3ABYbSFI that the 36-year old Voyager 1 spacecraft had crossed into interstellar space on August 25, 2012. The delay in the announcement was due to the scientific process taking its time to gather, check and re-check data to make sure of the resultant findings. I have little doubt that historians of science will be studying this watershed moment of human history in great detail. This spaceflight first takes its place right next to Apollo 11’s landing on the Moon in terms of historical significance, technical achievement and in my opinion, “Wow factor”. For Voyager 1 to operate in deep space for all of these years using 1960‘s and early 1970’s technology and for Earth to maintain two way radio communications across nearly 12-billion miles of space - it takes 17 hours for Voyager 1’s signal to reach us - is simply amazing. And, when you really think about it, Voyager 1 is amongst the stars of our Milky Way Galaxy having left the influence of our star, the Sun. The distinction lies in how you define the solar system. This is not unlike the controversy as to whether Pluto is still a planet or a dwarf planet. If one considers the Sun and its family of planets, dwarf planets, asteroids and the physical bubble of its influence in space called the heliosphere to define the solar system, then Voyager 1 has indeed left. But to NASA and others there is a segment of our solar system called the Oort Cloud http://www.nasa.gov/sites/default/files/145944main_Kuiper.Belt.Lithograph.pdf and it is located very far from the Sun and Voyager 1. The Oort Cloud is a vast sphere of billions if not trillions of comets surrounding our Sun that starts at about 5,000 Astronomical Units (AUs) - an AU is the mean distance from the Earth to the Sun or 93 million miles - from the Sun and is thought to extend out to 100,000 AUs. You can get a good sense of scale and where starship Voyager 1 is located in the solar system from looking at this NASA diagram http://www.nasa.gov/mission_pages/voyager/multimedia/pia17046.html#.UjSCFxYbSFI. The debate can continue whether starship Voyager 1 has left the solar system or not - that is an earthly matter. What is absolutely clear is that our ambassador to the stars is out amongst them and will continue to be for eons to come. The nuclear fuel onboard our first starship will last until about 2020 and then instruments will have to be powered down and ultimately communications will be lost with starship Voyager 1. Sister ship Voyager 2 will enter interstellar space at some point as well to become our second starship, perhaps in several years as she is about 9.5 billion miles from the Sun. No matter what happens to humanity our calling cards to the Cosmos will roam amongst the stars. Perhaps, just perhaps, one of our starships will be found someday by intelligent beings who will take the golden record that is affixed to them http://www.nasa.gov/mission_pages/voyager/multimedia/pia14113.jpg.html and figure out the supplied directions on how to play it and observe the sights and sounds of the craft’s creator-beings. What will they think of us? I think they would have to admire our ability to send a craft, regardless of its level of sophistication as defined by their technology, out among the stars. They would likely marvel at the diversity of life and sounds of our planet and ourselves. They may wonder what became of us or if we will ever encounter each other as we may be their first proof of another civilization or be just one amongst many. I’ll be sending this column to the stars and you can send something too. Send a video or Tweet to our starship via Twitter @NASAVoyager. A ROCK COMET? That is what astronomers are stating they have confirmed the Sun grazing Phaethon - formerly an asteroid behaving at times like a comet - to be using NASA's STEREO spacecraft. Using STEREO which consists of two spacecraft that observe the Sun from different angles, including the far side of the Sun as seen from Earth, astronomers observed a tail. Previous attempts to capture Phaethon in the act of having a tail failed because until STEREO, researchers could never observe the space rock as it was too close to the Sun. STEREO caught Phaethon's tail during a close pass to the Sun as can be seen in the photo above. Researchers think that during these close approaches to the Sun the rock on the surface literally gets too hot crumbles into dust much like desert mud flats. The pressure from the Sun then causes this loose material to form the tail that is observed. This also helps explain what fuels the Geminid Meteor Shower each December. This material from the Rock Comet flows out into space where it intersects the Earth's orbit each December giving us the great show of "falling stars". Phaethon is believed to definitely be a 3 mile-wide asteroid due to the shape of its' orbit. But it does behave like a comet making it another addition to our solar system zoo. I am operating on just 4 hours of sleep after being up 24 hrs and driving almost 600 miles to see LADEE launch last night. It was so worth it! The turn out at Wallops Island was the largest in the facility's history according to people I interviewed. There was also a HUGE turnout of the public to Virginia's Eastern Shore to see the launch as well - unofficial rumor had it as high as 30,0000 people - absolutely wonderful. I have some pics of the steady car stream to share later. The countdown and liftoff went like clock work and lift off was at exactly 11:27 p.m. EDT into a star lit sky. I have a video that I will share with you when I process it. Much more later - I need some coffee right now. NASA’s Lunar Atmosphere and Dust Environment Explorer (LADEE) - pronounced LAD-EE - is scheduled for launch Friday at 11:27 p.m. EDT. The night time launch will be visible over a wide area with potentially millions of people throughout the Northeast states able to view the launch - see my accompanying blog on how to see the LADEE launch. You may be asking why the “atmosphere and dust” aspects of the LADEE mission - a good question indeed. 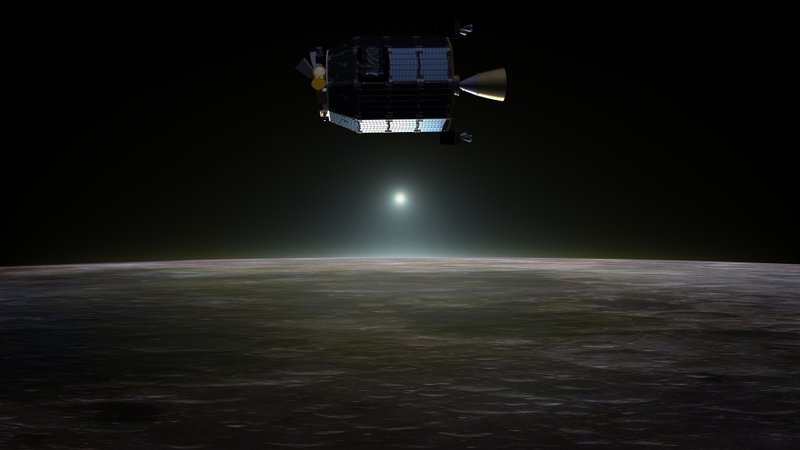 Believe it or not, the Moon has an atmosphere and PLENTY of dust for LADEE to observe and accumulate data on during its 160-day mission, 100 days of which will be dedicated to science operations. The Moon’s atmosphere is what scientists call “a surface boundary exosphere” which means that there isn’t much to the Moon’s atmosphere. Dust permeates everything on the lunar surface as the Apollo astronauts discovered. It is thought that interaction between lunar dust and the intense energy from the Sun may play a part in the Moon’s atmosphere and the twilight rays reported by Apollo crews. 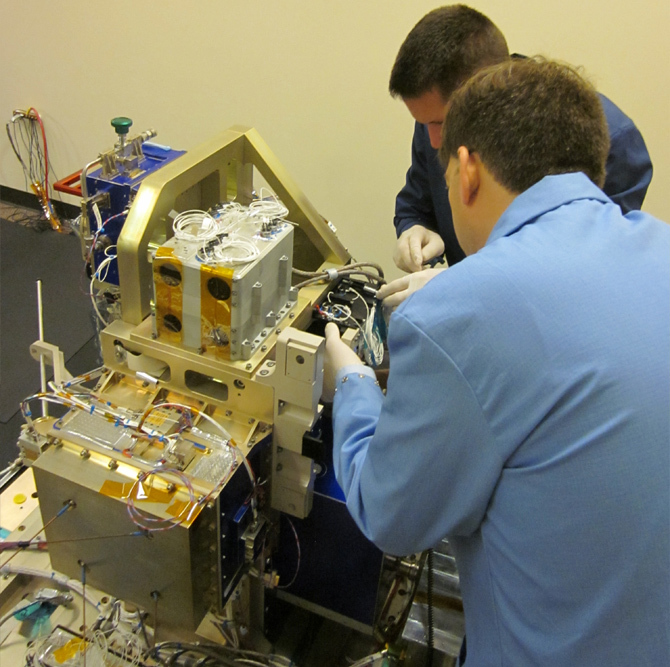 The scientific instruments carried by LADEE should help scientists learn more about the lunar atmosphere, dust and their interactions on and around the Moon. Knowledge gained can be applied to other planets and moons in the solar system which are also thought to have exospheres. LADEE is also carrying a lunar laser communications system which will demonstrate the use of lasers instead of radio waves for broadband speeds to communicate with Earth. This space first will mark a significant advance in space technology if it works as planned. Another space first is that LADEE is breaking new ground by utilizing a Modular Common Spacecraft Bus, or body, instead of a customized, one time only spacecraft design. Having this capability allows for cheaper and more efficient building of spacecraft. The good news is that the comet will improve its position in the sky as time goes on. How bright it will become is anyone's guess at this point. I am sure there will be more Internet viewing attempts during the upcoming month but tune in to see Comet ISON now so you can follow its anticipated changes during the upcoming months. For those of you in the U.S. Happy Labor Day! I tell my audiences that stars are like people. They come in all sizes and colors, they are born, they produce "offspring" in the form of planets, they live, they die. Doctors have used twins to study human health because you can learn a lot from following the course of the lives of each of them to see how they age, what happens to them and then apply that knowledge to other humans. Astronomers do the same thing in their study of stars. They are classified according to their masses relative to our own Sun which determines their temperature, color, longevity and manner of death. They also search for stars that are identical to our star, the Sun, so they can learn more about the Sun. It was recently announced that a solar twin had been discovered that is 8.2 billion years old as compared to our Sun's age of 4.6 billion years. HIP 102152 is in the constellation Capricornus and is 250 light years away. 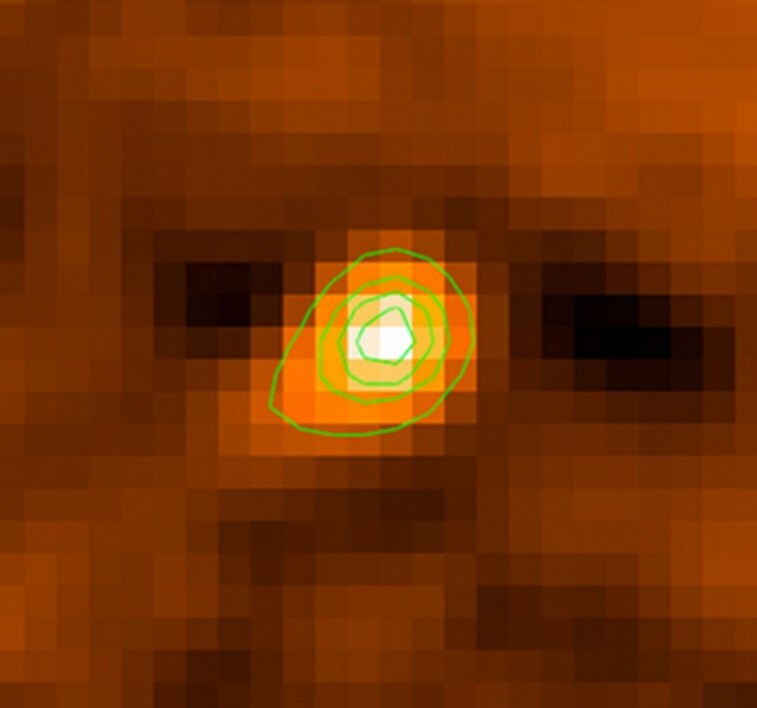 The youngest solar twin is 18 Sco located in the constellation Scorpius and is 2.9 billion years old. Having two solar twins at younger and older ages provides a backdrop to our Sun that astronomers can use to interpret what is going on in our Sun now and what will occur in the distant future. The Sun will continue to shine for about 5 billion more years and then will begin to end its life. It will swell to about 100 million miles - possibly engulfing the Earth but definitely ending all life as the oceans and atmosphere will boil away and the surface likely will become molten. The Sun will become a vast shell of gas and dust, called a planetary nebula, puffing away the majority of its outer layers to reveal its dead core - a white dwarf star.